Suggestive of ornamental architectural style of the 17th Century, the Baroque Light Rail Insert adds a beautiful finishing touch to walls, windows, cabinets, and more. 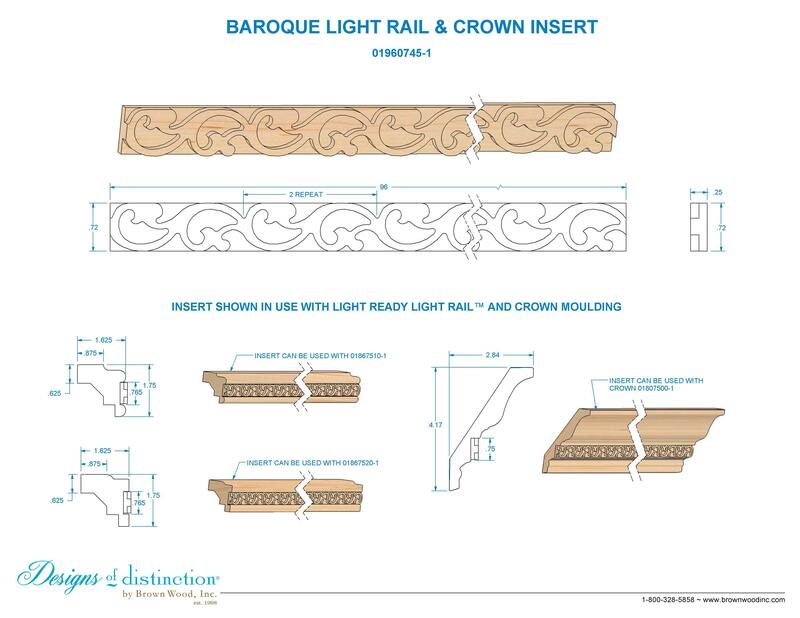 Lavish and grand, the Baroque Light Rail Insert can be used on it’s own or with our Traditional, Contemporary, or Crown Light Rail Moulding. The Baroque Light Rail Insert is part of our Baroque Collection. Shop more of this look in the Baroque Collection.